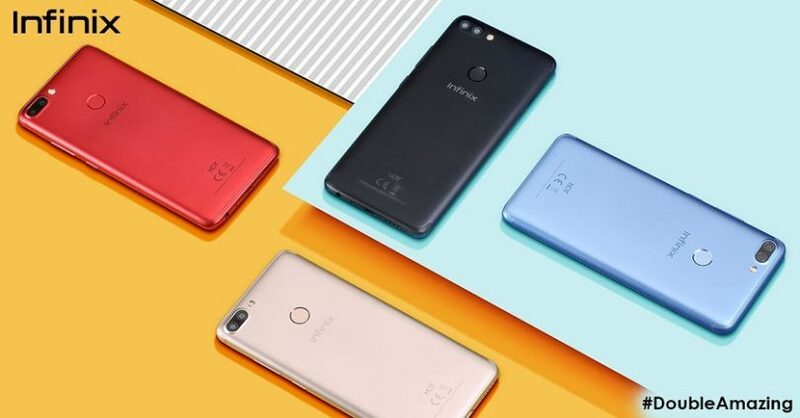 Infinix Hot 6 is currently being worked on and will be launched sometimes in May with it’s senior counterpart that will be called Infinix Hot 6 Pro, we are yet to confirm the exact launch date but we will keep you informed as regards to that. More focus seems to be on the Hot 6 Pro which makes you question if we will see an Infinix Hot 6 -rightful successor to the Infinix Hot 5– device at the launching event. I guess we’ll have to wait for the official unveiling day to know. From the teaser pictures we’ve seen from Infinix social media accounts, the Hot 6 Pro will spot an elusive Snapdragon chipset and dual rear cameras, making it the second from the company to spot dual camera system after the Infinix Zero 5 we saw Last year. 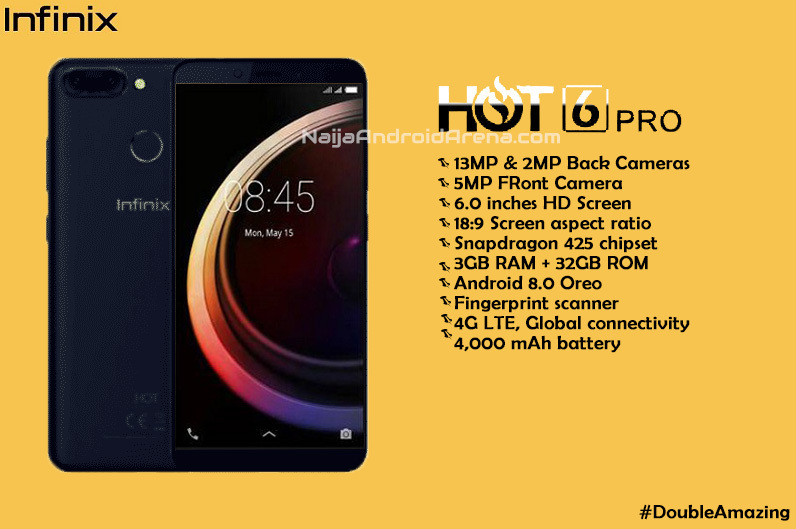 Below are the speculated specs of the upcoming Infinix Hot 6 Pro. The Hot 6 Pro is said to feature a dual 13MP and 2MP dual cameras that will be combining with a powerful single ring flash to produce amazing images, the front camera sees a 5MP camera with its own flash. It will run on Android 8.0 Oreo out of the box with the company’s XOS skin on top. At the helm will be 3GB RAM and a Qualcomm Snapdragon 425 chipset. For storage purposes, you get a 32GB ROM which is equally expandable. The Hot 6 Pro will also have a 2GB RAM + 16GB ROM version which will probably be the basic variant. The Infinix smartphone will cram a 6.0 inches screen with HD resolution and the popular 18:9 screen ratio. The battery department hosts a 4,000 mAh battery, Infinix Hot 6 Pro will be a dual SIM device with 4G network support. There are also unconfirmed rumors that the phone will feature Face ID unlock system but that will be confirmed when the device gets officially announced in Kenya. Stay tuned in for further updates on the Infinix Hot 6 and Infinix Hot 6 Pro.